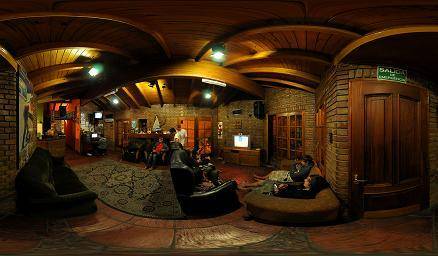 Hostel Ruca Potu ... Very good service and advise provided by the owner himself. Since it is directly run by the owner therefore all our request can be easily excecuted. 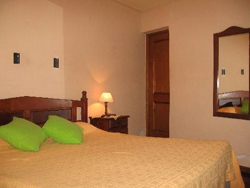 Responsible for building has common room, dining facilities, internet, TV, Air Conditioning. Master bedroom with bathroom, four bedrooms, bathroom. Second building has three bedrooms bathroom counter. 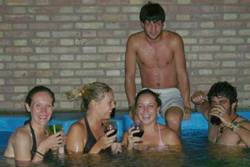 Playground: ping-pong, pool. Environment Friendly, free wine, good food. 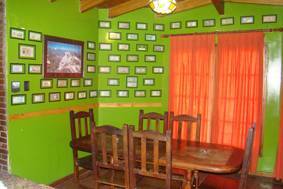 The hostel organizes: Mountain tours, horseback riding, bike rental, hiking, paragliding, rafting, skydiving, visiting the wineries A. 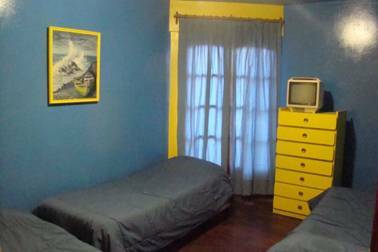 Yes This hostel is located near the bus terminal and six blocks from downtown . 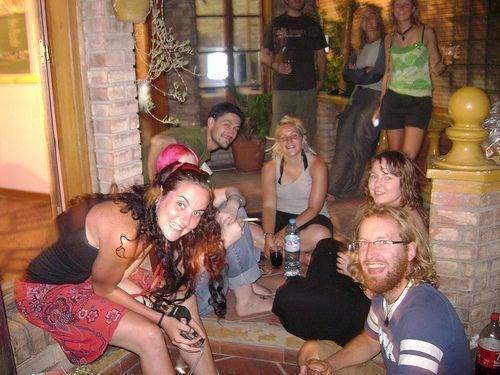 The hostel has many amenities with, like, swimming, games, outdoor patio, barbecue, free wine, camping opportunities. Queen room: King Size bed, Private Bath, Bath Tub. Private Garden, Air Conditioning: Fríoy hot. Saturday TV, wi-fi. , Wardrobe. Triple: single beds, shared bathroom, sat Yes. TV, wi-fi. , Wardrobe.
. From cabin: double bed, literature, Private Bath, Air conditioning cold-heat. , Satellite TV, wi-fi, Wardrobe. Beside the river, opposite O'Higgins Park. Commercial / residential district. Museum of art: Independencia Sq. 6 blocks from the bus terminal la la la la along a River. Ten minutes from the airport.